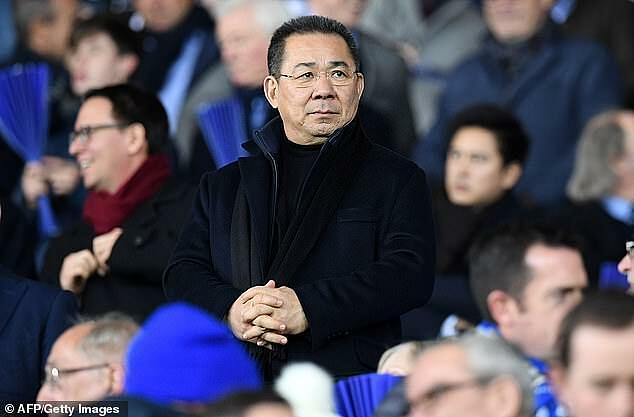 The helicopter crash which killed Leicester City’s owner and four others was caused by the tail rotor becoming disconnected from the pilot’s pedals, investigators have found. 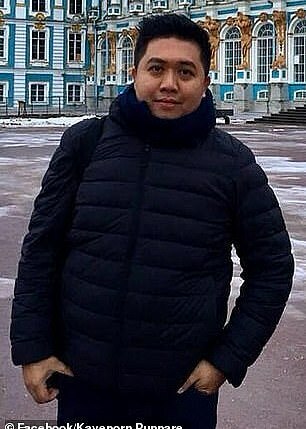 Thai billionaire Vichai Srivaddhanaprabha, employees Nursara Suknamai and Kaveporn Punpare, pilot Eric Swaffer and his co-pilot partner Izabela Roza Lechowicz were all killed in the accident on October 27. A report by the Air Accidents Investigation Branch (AAIB) has now found the aircraft came crashing down when a system linking the pilot’s pedals with the tail rotor failed. 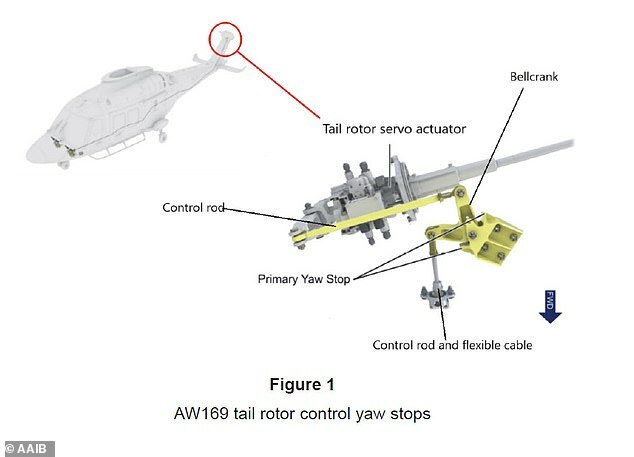 The problem meant the Augusta AW169’s tail rotor blades ‘continually changed pitch until they reached the limit’ leading the helicopter into an ‘uncontrollable’ spin, the report found. 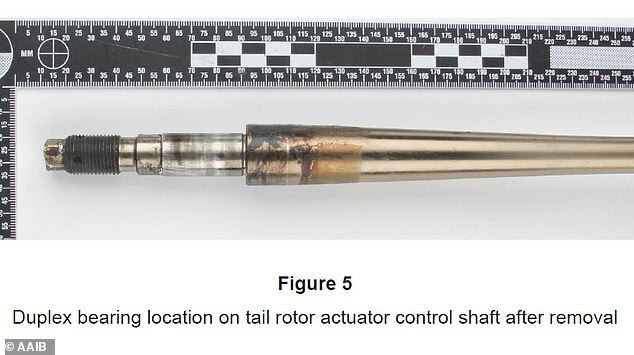 The report states: ‘The initiating cause and exact sequence of the failure that resulted in the loss of tail rotor control is being investigated as a priority. The AAIB has already issued warnings to owners of similar helicopters to check their tail rotor mechanisms for any signs of similar problems. 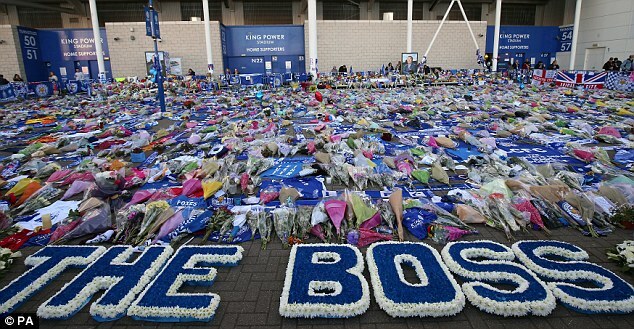 The crash, following a football match in October, caused shock around the city, with fans later laying out a sea of flowers and shirts in tribute to the club’s late owner. 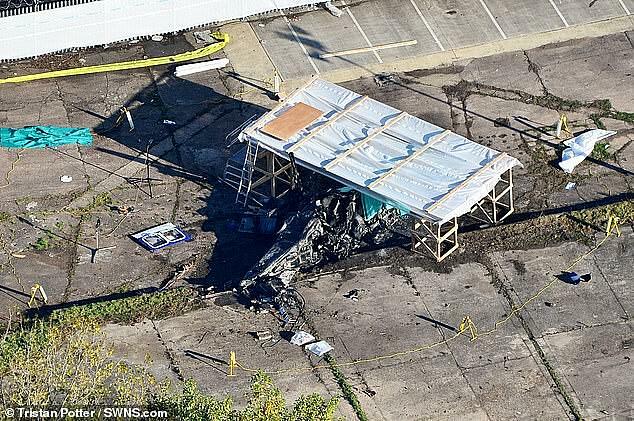 The report states: ‘The tail rotor system was first inspected at the crash site. This identified that the input lever mechanism was not attached to the control shaft. ‘The pin, spacers and one of the locating bearings were missing from the lever. ‘The locking nut and pin carrier were found loose in the tail rotor fairing and were bonded together (they should be separate components). Stadium staff and emergency services ran at the scene but were not able to gain access to the helicopter because of the intensity of the fire. 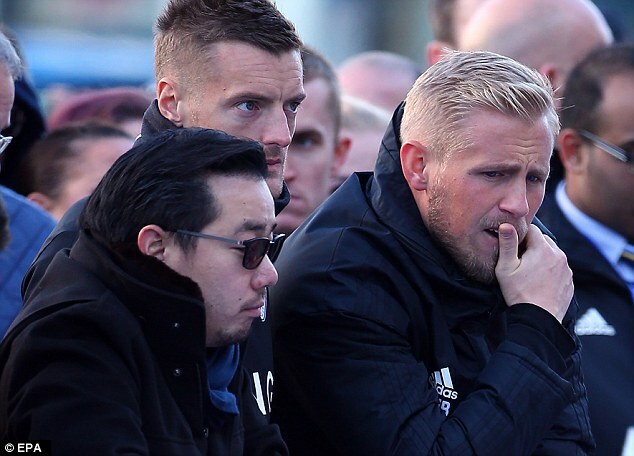 One of those who tried to help but was held back by police was Leicester City goalkeeper Kasper Schmeichel. 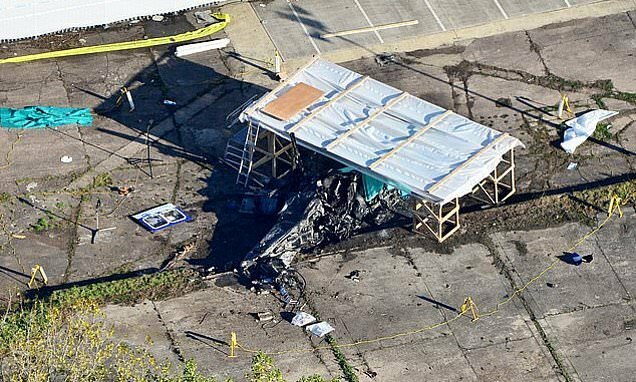 A previous report found the aircraft reached an altitude of approximately 430ft before plummeting to the ground near Leicester City’s King Power Stadium. Last week, the Duke and Duchess of Cambridge comforted the grieving family of Mr Srivaddhanaprabha. The prince got to know the Thai billionaire through his role as president of the Football Association and their shared love of polo.